Premier League club Manchester City and prominent European esports organisation Epsilon Esports have revealed that the two will be collaborating for the upcoming season four of the Gfinity Elite Series. 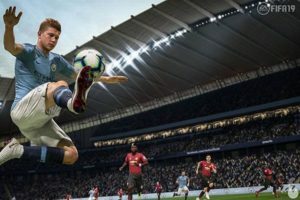 The move will see Manchester City and Epsilon join forces for the FIFA 19 portion of the Elite Series, with their current professional players making up half of the team before being joined by members from the Elite Draft. 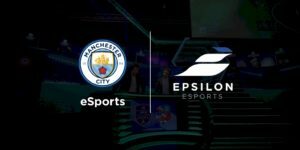 “Manchester City eSports’ collaboration with Epsilon provides a very exciting opportunity for us to continue our digital expansion. The Gfinity Elite Series is a globally renowned tournament and we are delighted to be competing alongside Epsilon’s experienced team. Season 4 kicks off on the weekend of October 26, with 10 teams competing in the eight-week tournament for a spot in the grand final, to be played on December 7-8. This move surely sets the precedent for teams that are looking to move into esports – especially given the recent announcement regarding the ePremier League, in which every Premier League team is participating in FIFA 19 esports competition. What do you think of this partnership? It definitely seems huge for bridging the gap between esports and the mainstream, and I personally look forward to seeing how it works out.